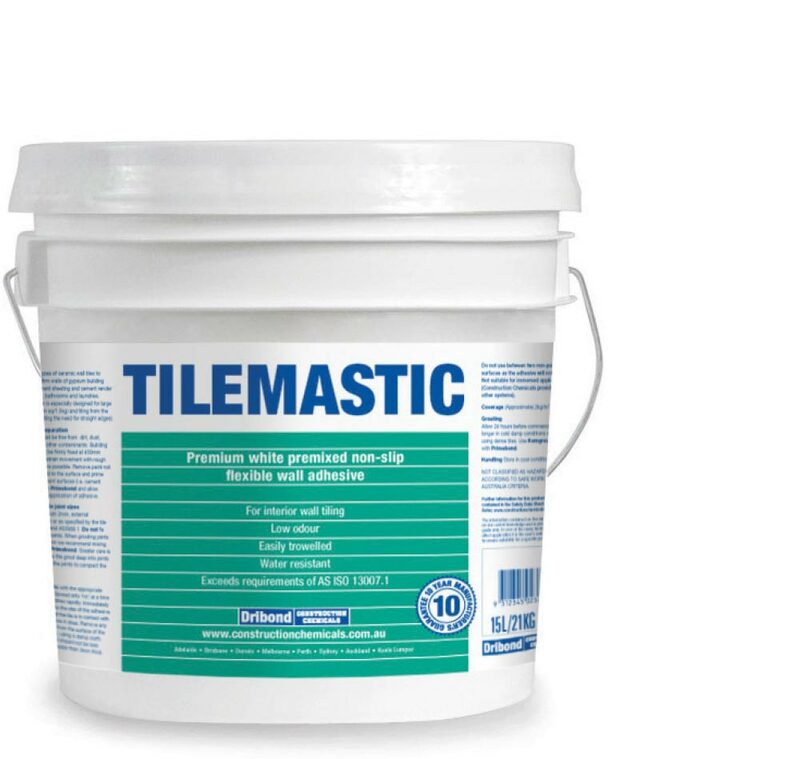 Polymer-modified, cement-based, ceramic, porcelain and stone tile adhesive. 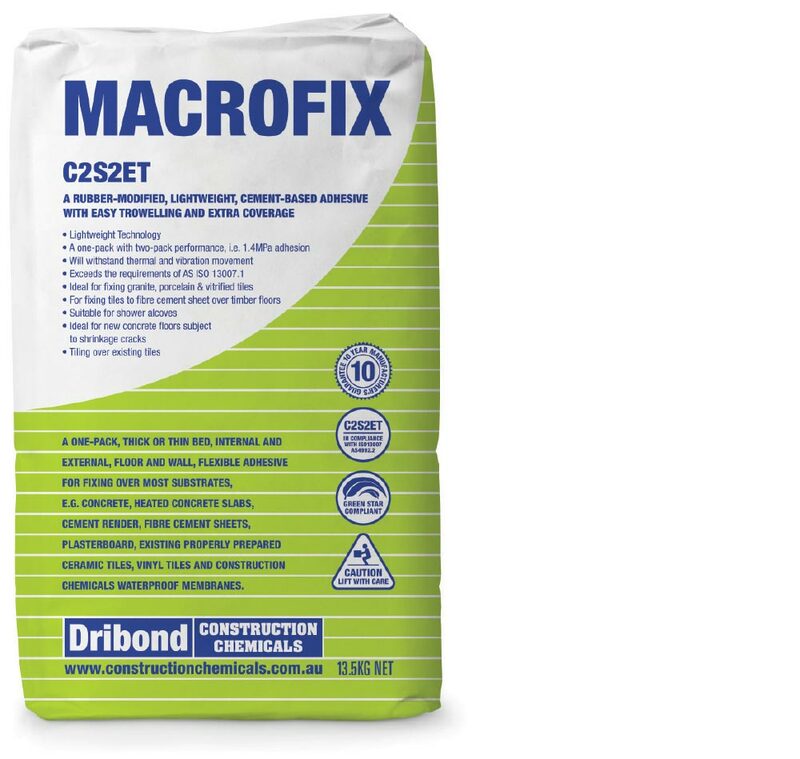 7-8m² per 20kg bag using a 10mm notched trowel. 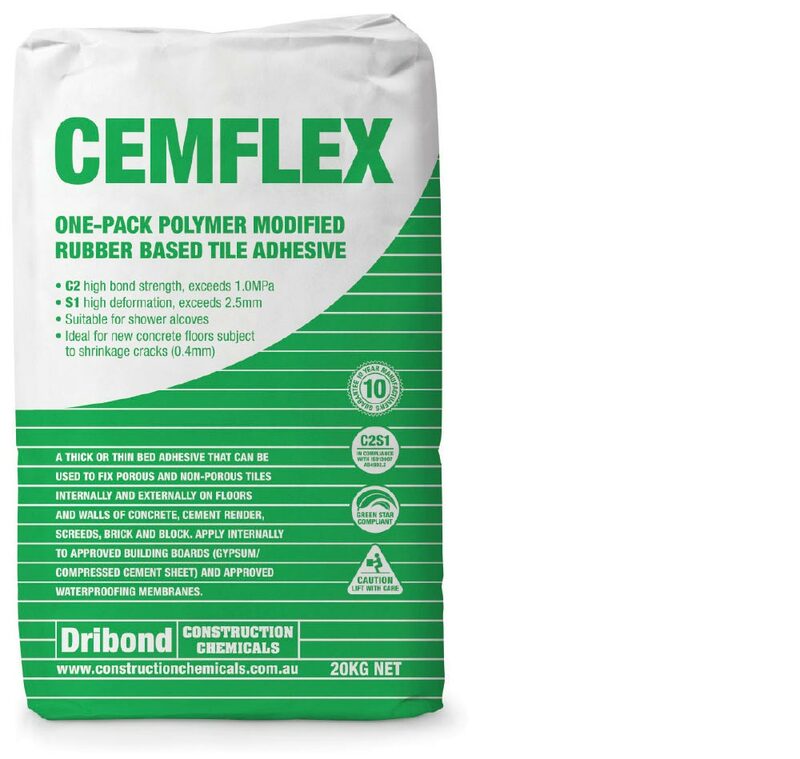 One-pack, polymer-modified, rubber-based tile adhesive. 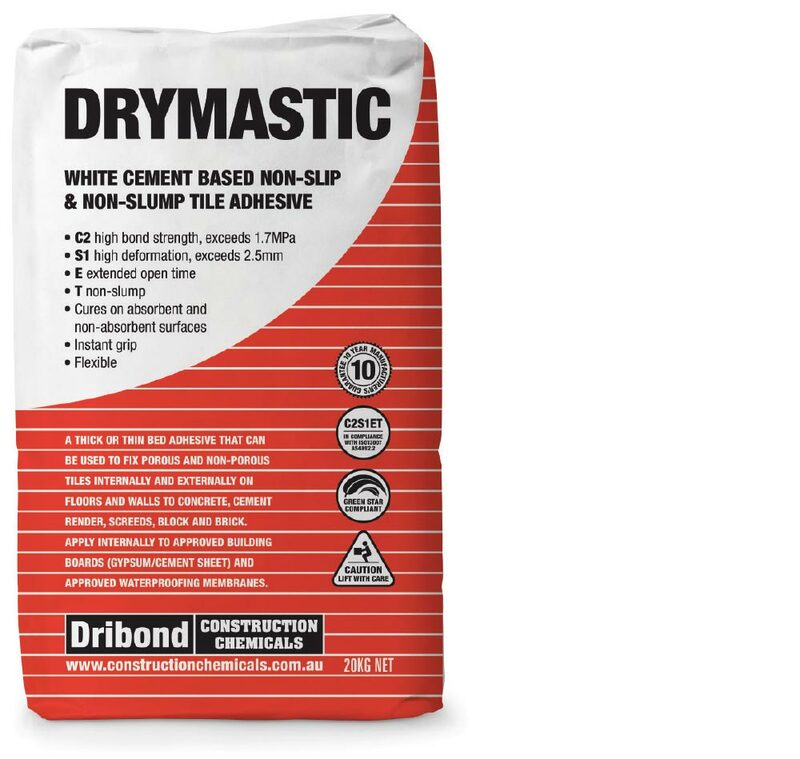 20kg will cover 7-8m² using a 10mm notched trowel, over a true surface. 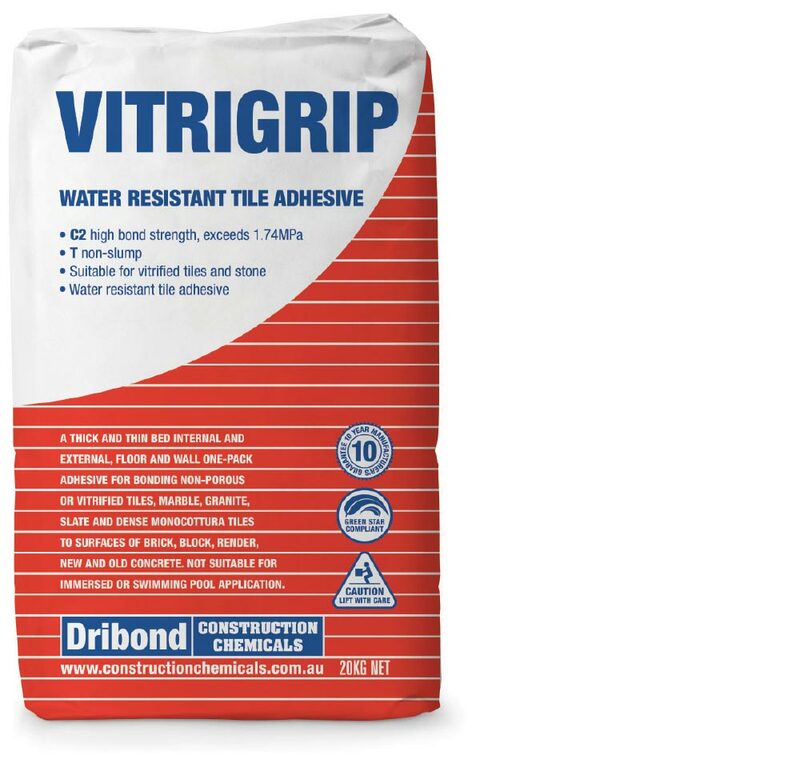 White, cement-based, non-slip/slump tile adhesive. 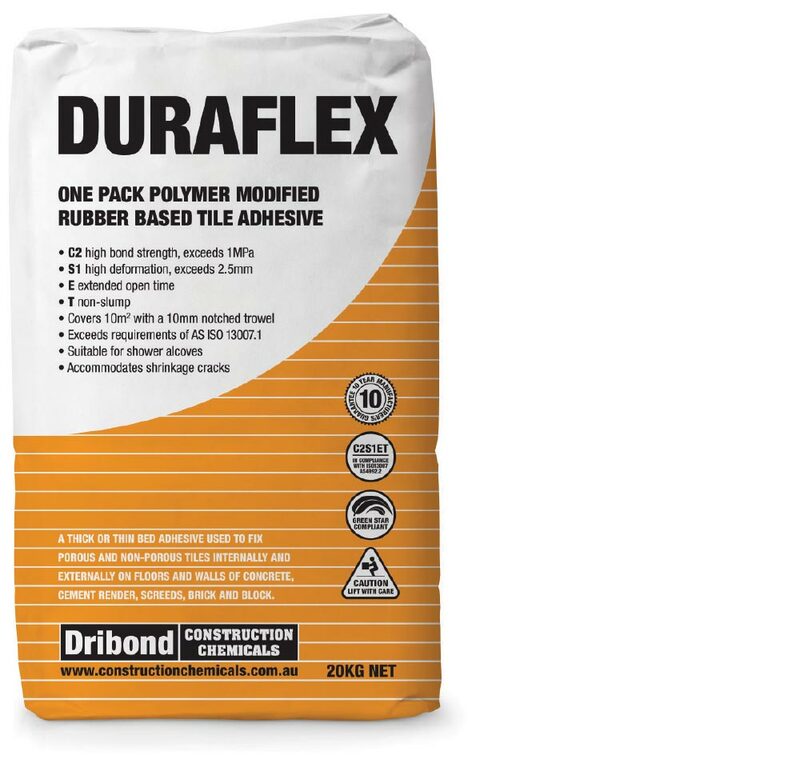 One-pack, polymer, rubber, tile adhesive. 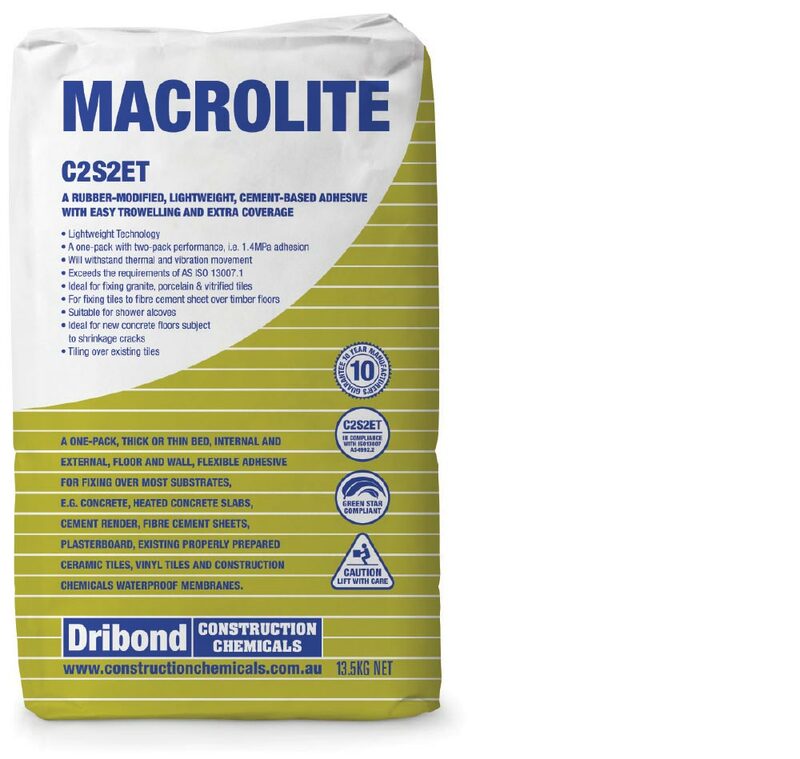 20kg will cover 10m² with a 10mm notched trowel. 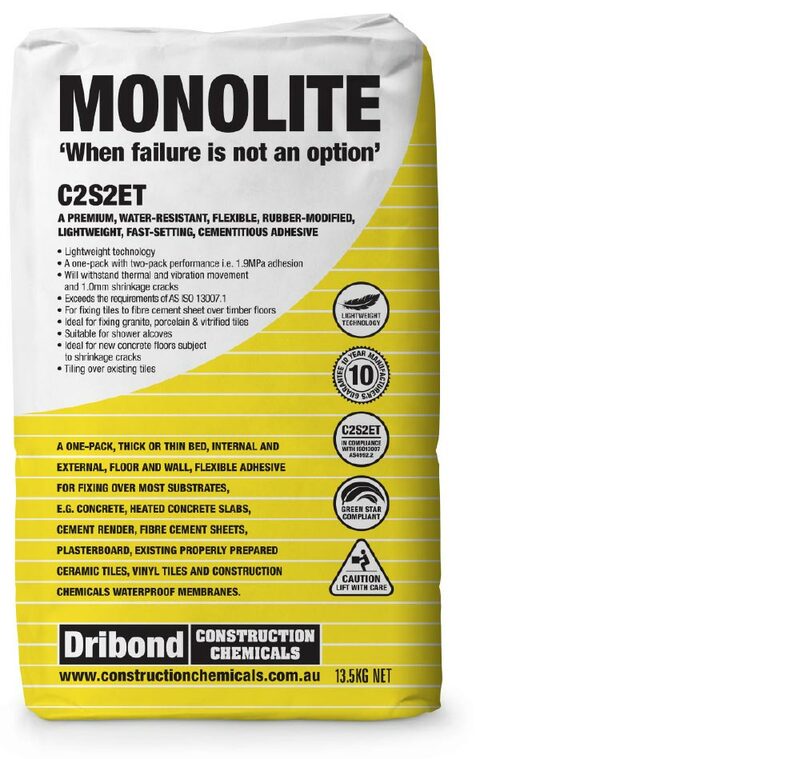 Economical, rubber-modified, stone and tile adhesive. 8m² per 20kg using a 10mm notched trowel. 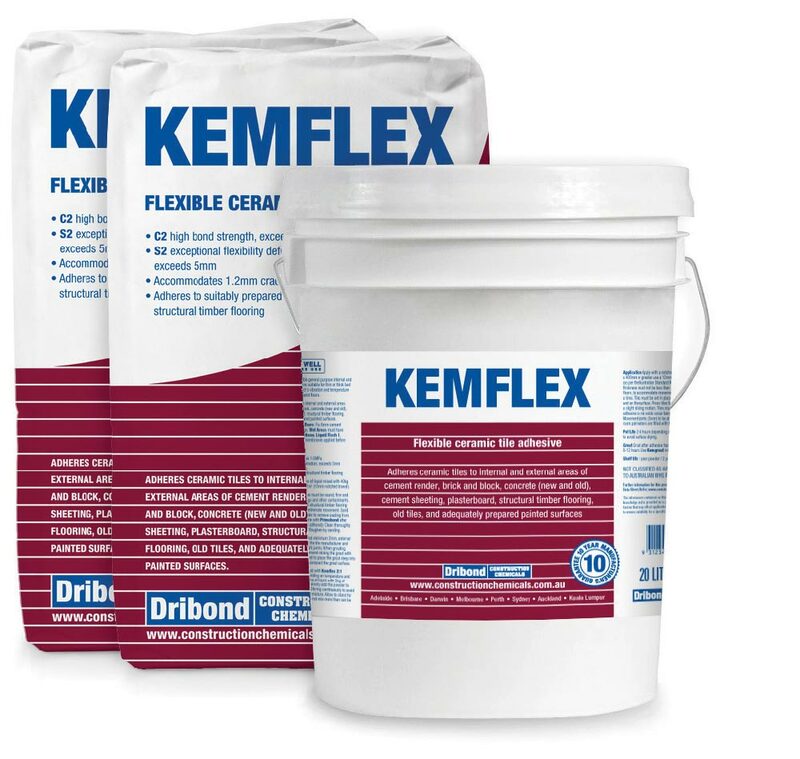 Flexible, acrylic additive for Kemgrip Floor & Wall. 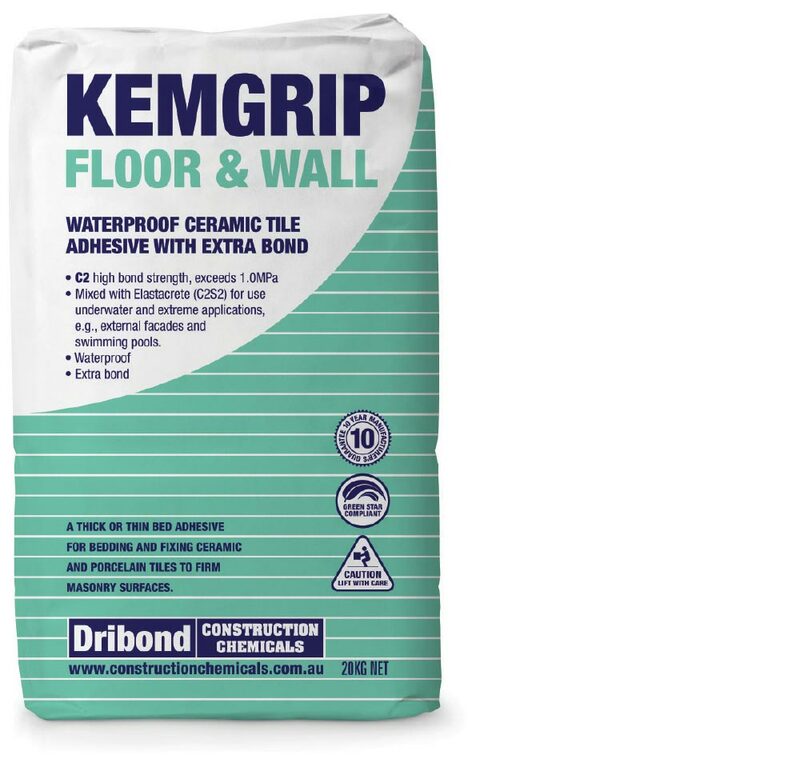 5-6 litres per 20kg Kemgrip Floor & Wall, covers 3-6m² depending on the trowel size. 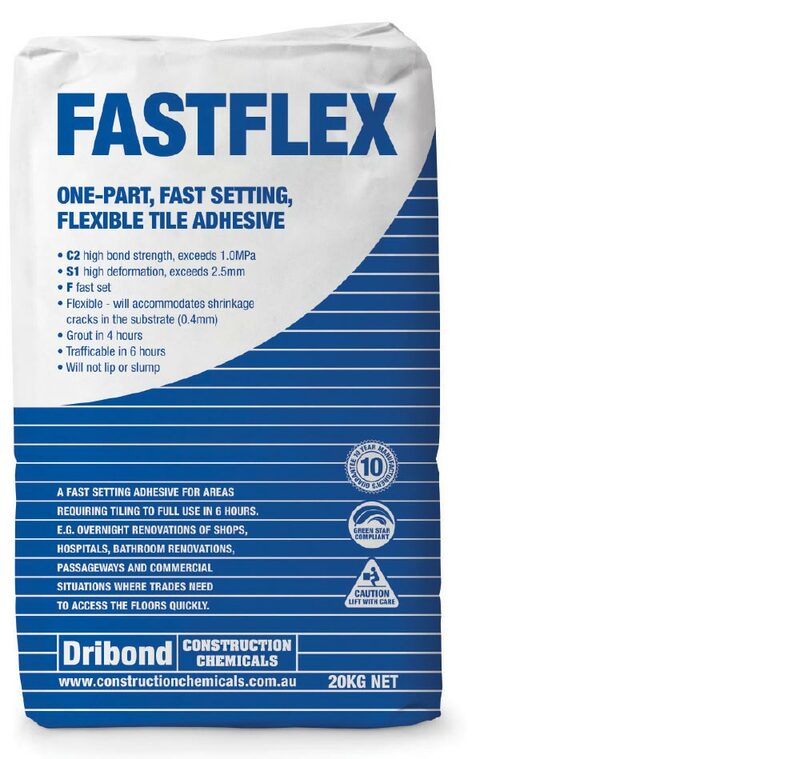 One-part, fast-setting, flexible tile adhesive. 6-7m² depending on the surface and notch trowel size. 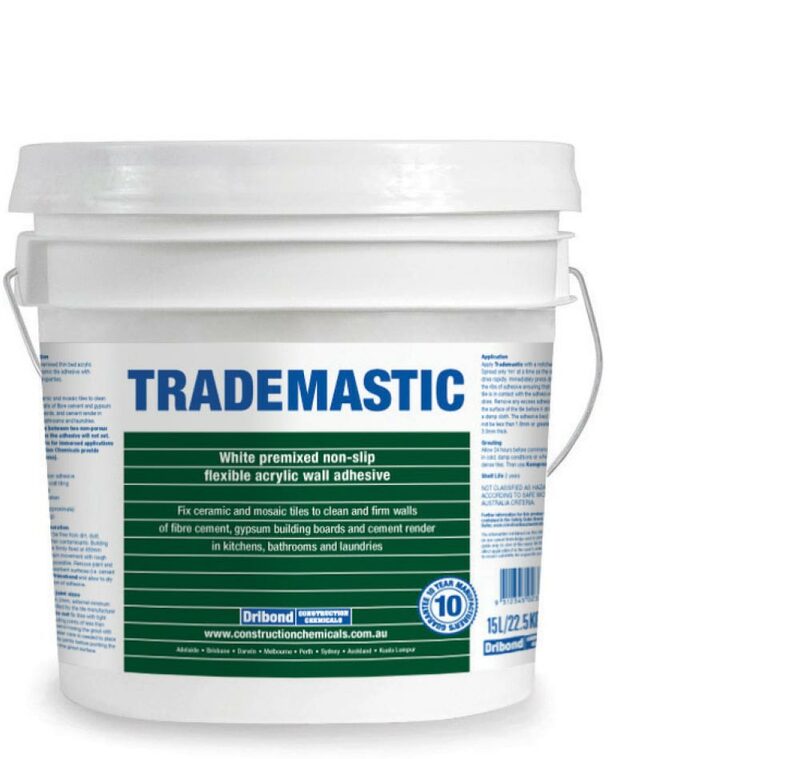 Premium, white, polymer-modified, flexible, mastic adhesive. 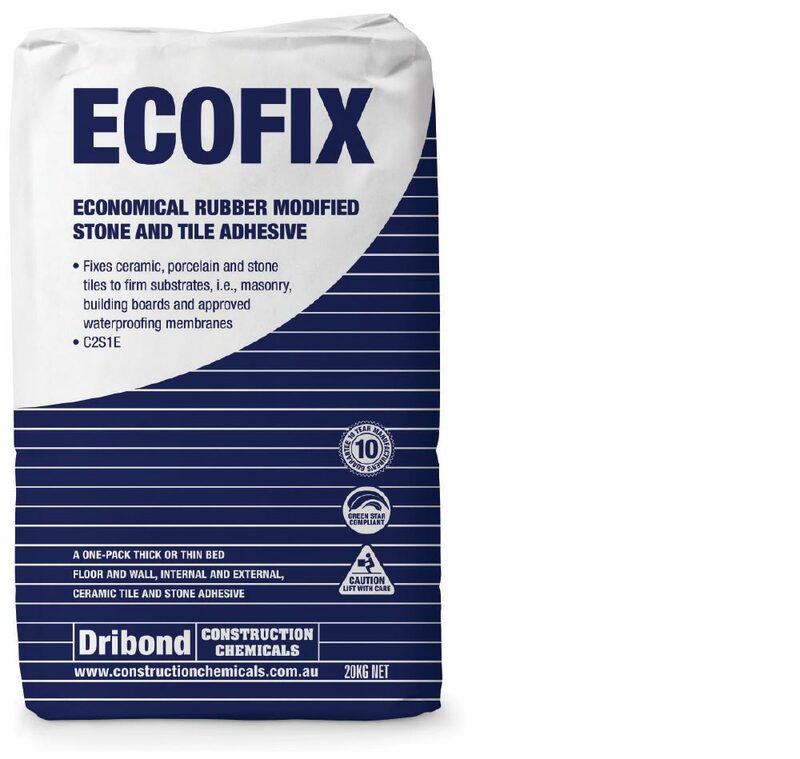 20kg will cover 13-16m² using a 6mm notched trowel, over a true surface. 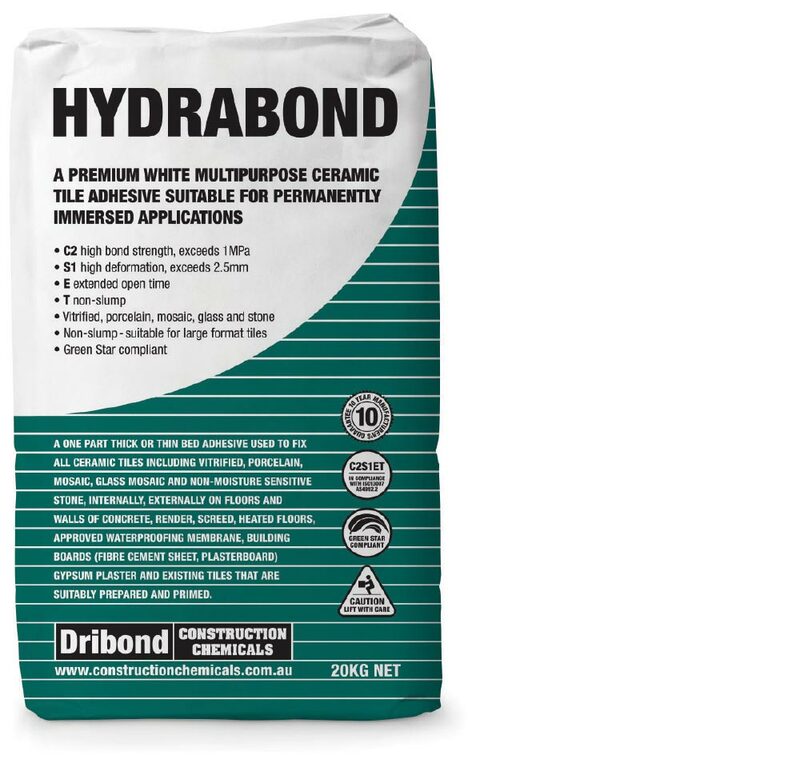 Premium, white, multipurpose, for permanently immersed applications. Premium, white or grey, lightweight, multipurpose, flexible, for permanently immersed applications. 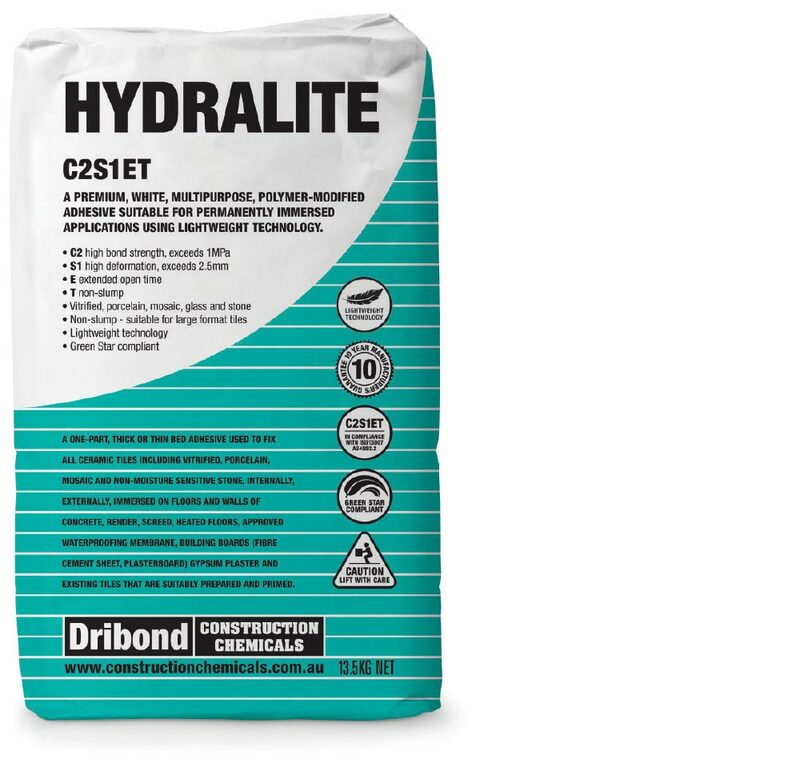 20 litres of liquid mixed with 40kg of powder covers between 18-22m² (10mm notched trowel). 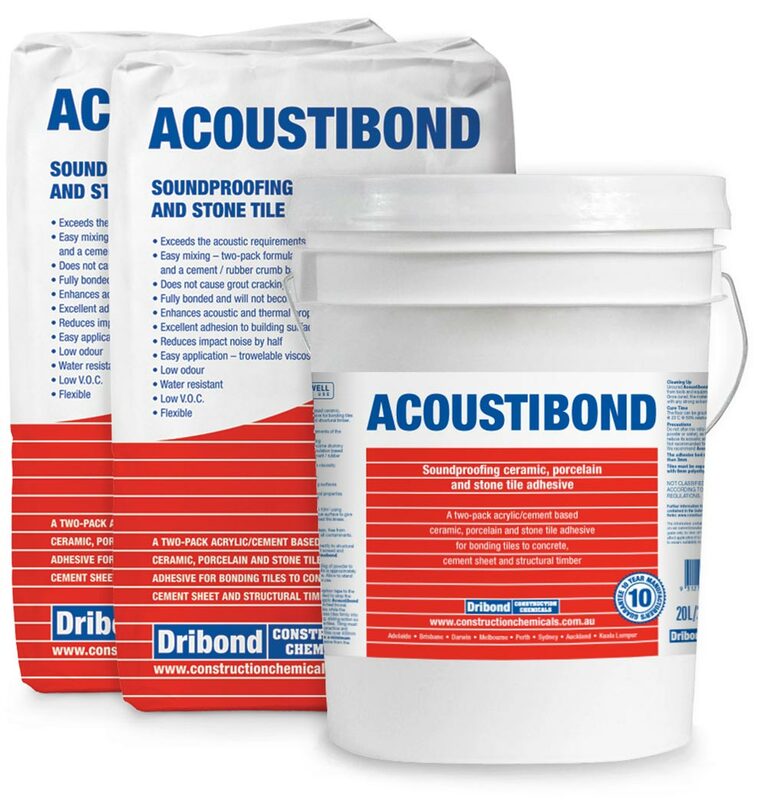 Waterproof ceramic tile adhesive with extra bond. 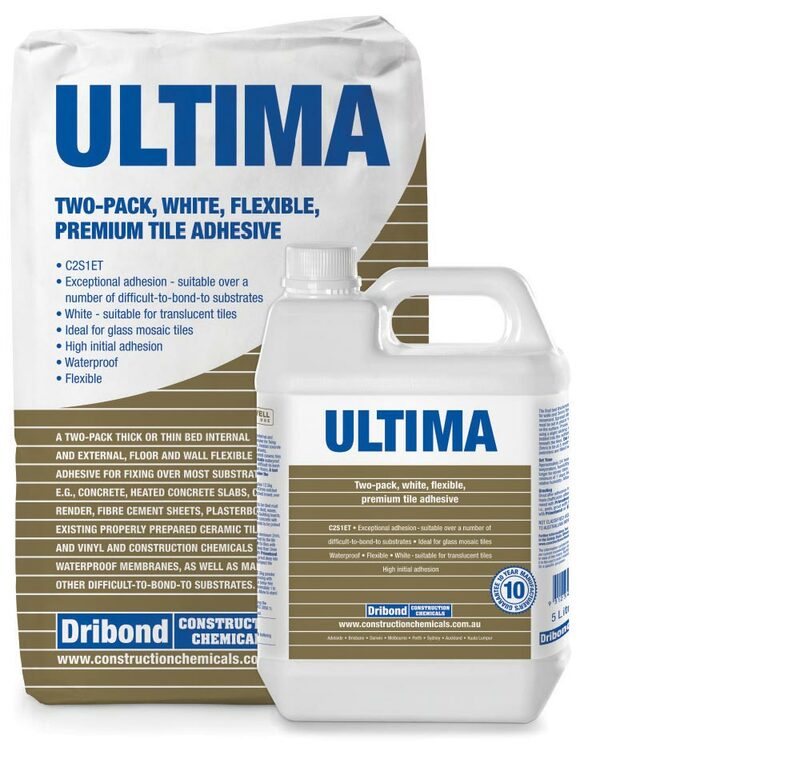 3-6m² per 20kg, depending on tile size and trowel. 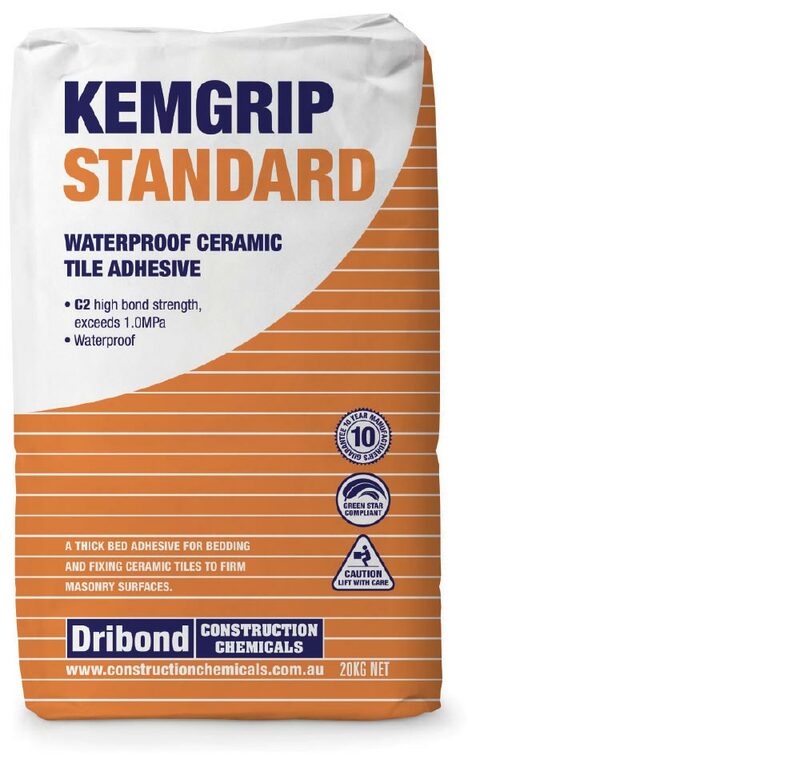 Waterproof ceramic tile adhesive with extra grip. 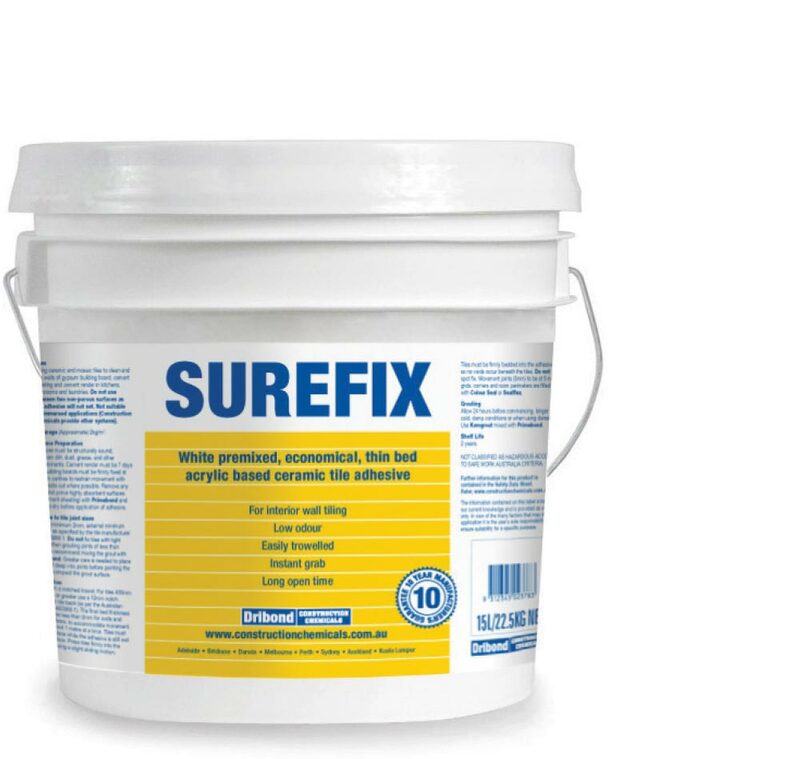 Rubber-modified, cement-based adhesive with easy trowelling and extra coverage. 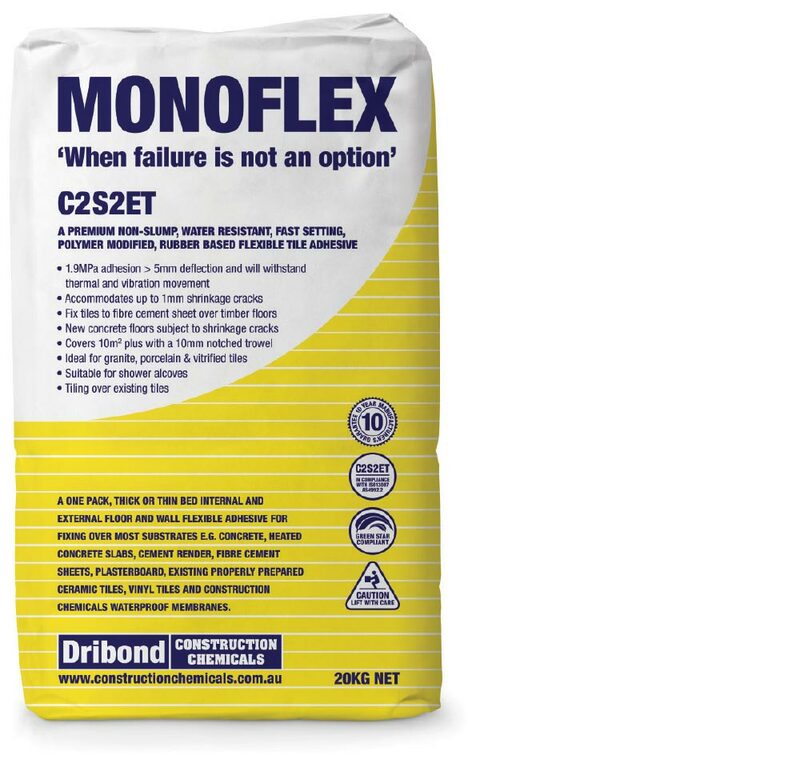 Rubber-modified, lightweight, cement-based adhesive with easy trowelling and extra coverage. High-strength, highly flexible, premium, non-slump/lipping, economical and multipurpose. High-strength, highly flexible, premium, non-slump/lipping, lightweight and multipurpose. 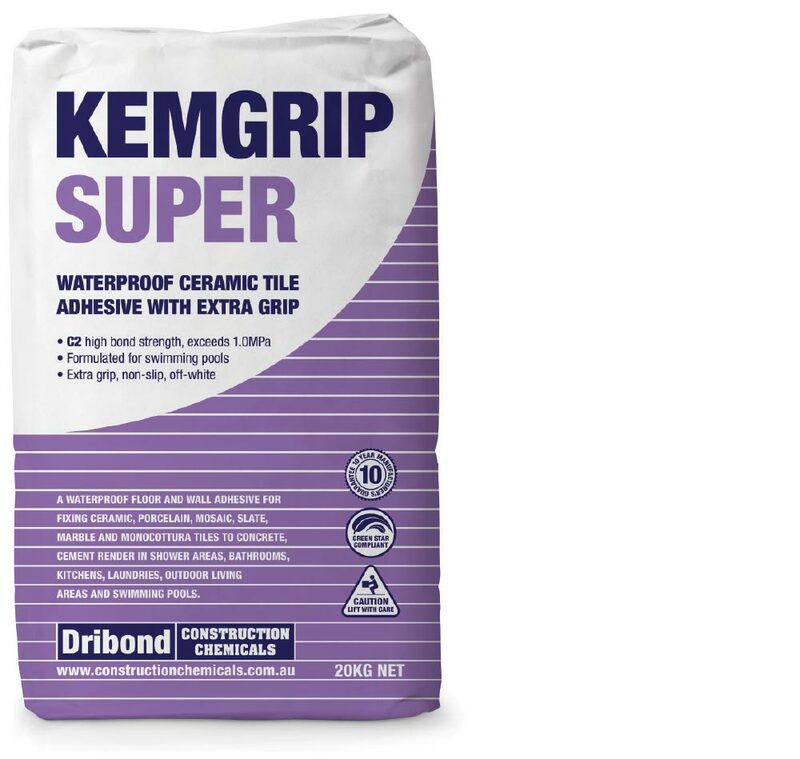 1L with 2.4kg Kemgrout Flexible, 1L with 3.6kg Kemgrout Sanded will cover approx 1.0-1.2m². 4m² per 20kg/5L pack using 10 x 10mm notched trowel. 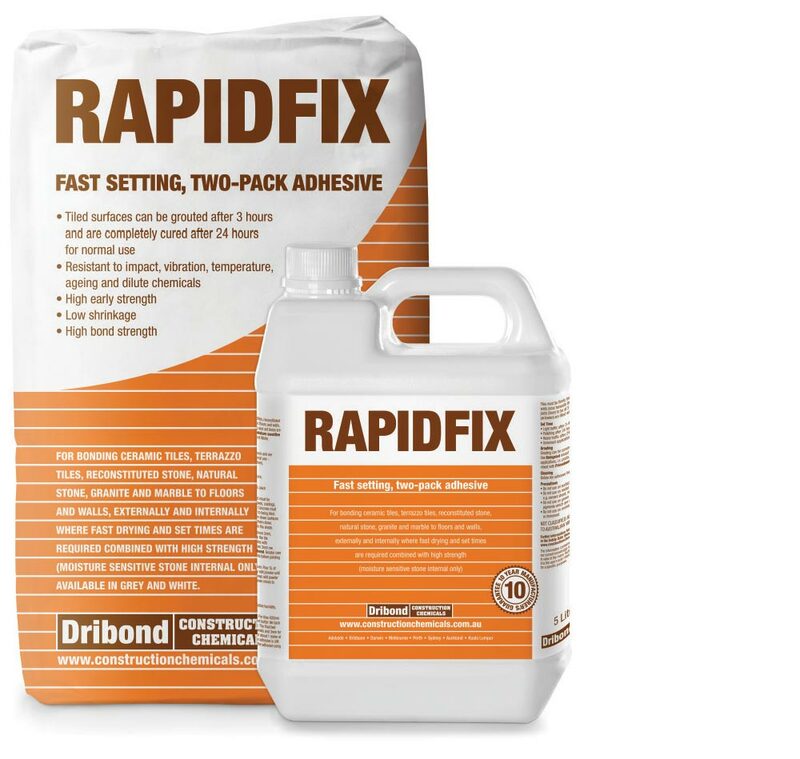 White, lightweight, premixed, economical, thin bed, acrylic-based ceramic tile adhesive. 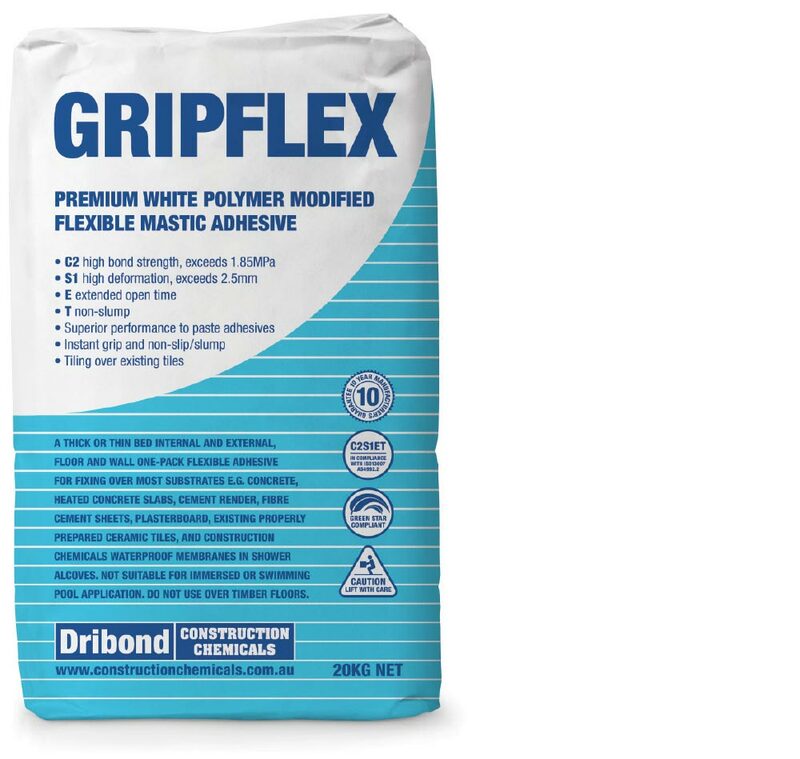 Premium, white, lightweight, premixed, non-slip, flexible wall adhesive. 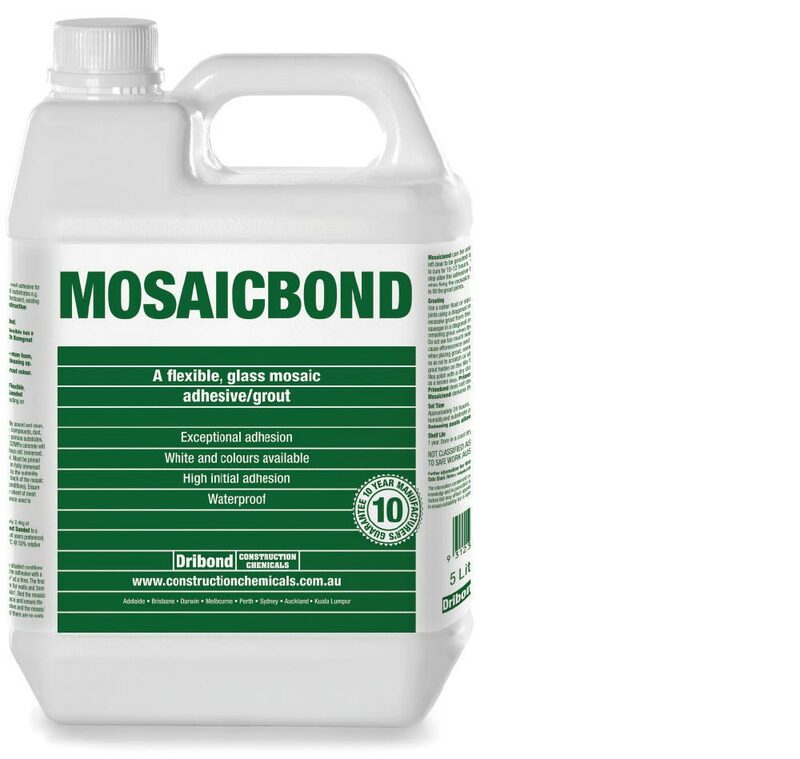 White, lightweight, premixed, non-slip, flexible acrylic wall adhesive. 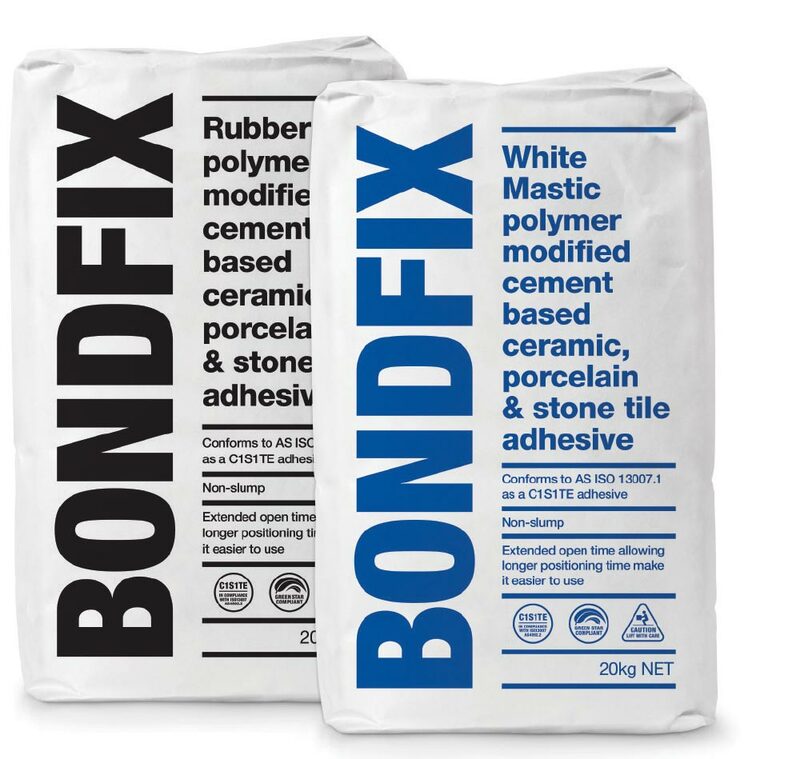 Two-pack, white, flexible, premium tile adhesive. 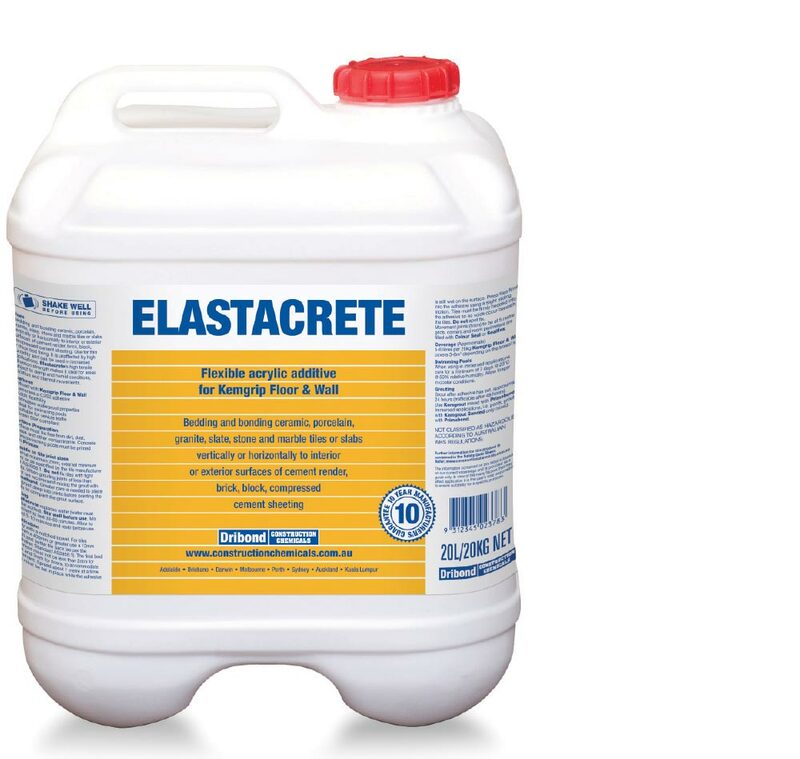 5L liquid / 12.5kg powder covers 3.5-4m² / 10mm notched trowel and 6-7m² / 6mm notched trowel.